First Step - WELKOM BIJ ANGLIA! 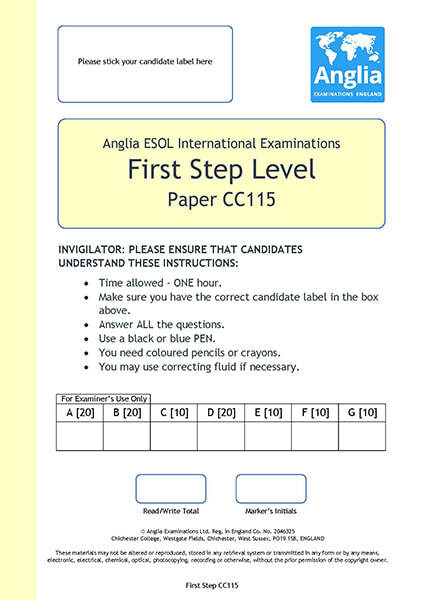 Succes met je Anglia first step examen! 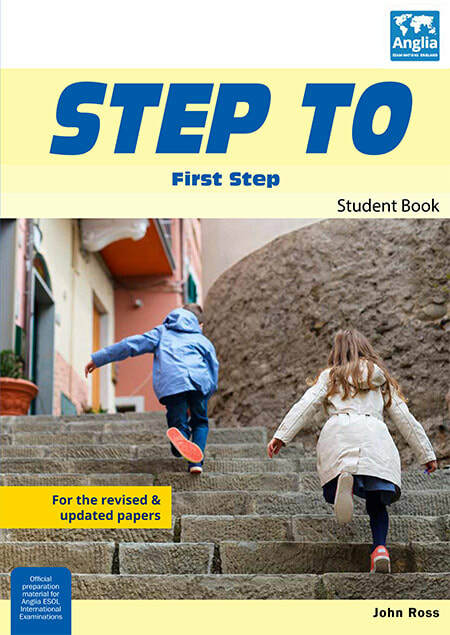 Maak een oefenexamen of klik op een van de Grammar Points (GP's) om specifieke onderdelen van het Anglia First Step examen te oefenen. Klik op de afbeelding om het First Step oefenexamen te openen. - Colour the right number. - Listen to the words. Identifying an object. Getting to know someone. - The flower is red. - It is a computer. - My name is Bob. I'm 8. GP 3: Personal Pronouns "It"
- It is a bike. - There is one apple. - There are three apples. - There is a/one/three res ball(s). As part of the identification of an object.